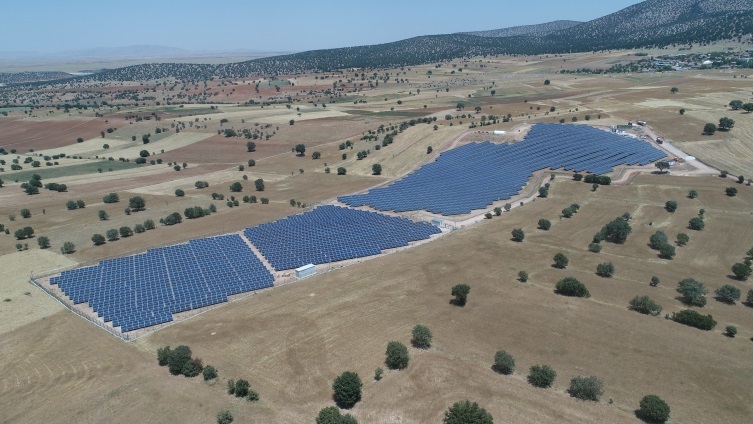 Wörrstadt (renewablepress) - The German juwi group, one of the world’s leading project developers and EPC service providers in the field of renewable energies, successfully put into operation two large solar projects in Turkey. The first project consists of an 18.6MW portfolio which is located in the cities of Konya and Nevsehir, the second one is located in the city of Burdur and has an installed capacity of 1.1MW. The 18.6MW project consists of 18 separate (unlicensed) solar energy plants and was commissioned in November this year. Eight solar power plants are installed in Konya, in the Central Anatolia region, some 300 kilometers north-east of Antalya, and ten solar power plants in Nevsehir. Nevsehir is located about 200 kilometers north-east of the city of Konya. The combined module surface is more than 110,000 square meters; the projected annual energy yield is more than 30 million kilowatt hours of climate-friendly electricity. All projects have been planned, designed and executed by juwi’s subsidiary juwi Yenilenebilir Enerji A.S. Commenting on the commissioning, Turkey General Manager Korhan Gögüs says: “We are pleased to have successfully transferred the solar parks into the hands of our clients. The Turkish energy market offers great potential for renewables and we are just at the beginning of a long road, in particular with regard to the country’s target for solar energy.” The target set by Turkey in 2016 was 10 gigawatts. As of the end of September 2017, 1897 megawatts of solar power have been installed in the country. Market analysts estimate the size of the Turkish solar market to be USD 10 billion. “juwi is well-positioned in this developing market and has an extensive pipeline of potential projects and will successfully realize more projects in the future,” Korhan Gögüs says. The juwi group is one of the world’s leading companies in the area of renewable energy. The renewable energy pioneer with a strong regional presence offers project development and EPC services as well as products and solutions for the energy turnaround. Company activities are mainly projects with solar and wind. The juwi group was established in 1996 in Rhineland-Palatinate/Germany. Since the end of 2014, Mannheim based utility MVV Energie AG has been partner and majority shareholder (63%) of the juwi Group. juwi has about 1,000 employees worldwide, branches on all continents and is actively engaged in various projects all over the globe. Working together with passion to implement renewable energy economically and reliably is what drives us.